Peace to All Beings: Under Siege—Can Hearts Change In Time? This is my latest"Eating as Though the Earth Matters" "Planet Kansas" article for the Kansas Sierra Club. Iowa is under siege. As hog farms proliferate over the state, the threat to public health grows along with them. In Ted Genoways’ onearth article, “Hog Wild: How Factory Farms are Poisoning Iowa’s Water,” he explains that, while the state inspector staff has been cut by 60 percent, the growing number of farms is producing so much manure that it cannot be contained by the lagoons. So the toxic, antibiotic, chemical, and bacteria-laden manure is being applied as fertilizer to millions of acres. We all know what happens then—it runs right into the rivers and streams threatening life downstream. Meanwhile, ammonia, hydrogen sulfide, and other dangerous gases are vented (incompletely, of course) from the barns to pollute the air. According to Genoways, Iowa is overrun now with more than 8,500 of these polluting “farms” that produce over 5 billion gallons of liquid manure each year. One of the biggest owners of hog farms is the weirdly named New Fashion Pork. 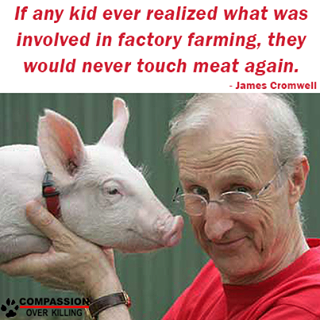 They also own the packing plant in St. Joseph, Missouri, which kills 15,000 pigs every single day. The air and water pollution, cruelty to animals and plant workers, and the sheer unbridled voraciousness of such an operation is thought provoking to say the least—how did we get into such a mess? This article brought to my mind some farmers who saw what they were doing to the water, air, land, animals, and indeed their own health, and gave up everything they knew in order to stop contributing to such destruction. Howard Lyman was a fourth generation cattle, pig, and poultry farmer who loved the land, studied agriculture in college, and grew the family ranch and wealth significantly with his knowledge and expertise. The ranch was in Montana, and he farmed it for forty years. Following what he had been taught in school, he used “modern methods” to increase crop and animal yields. But as the years went by, he noticed that the flowers and birds that once graced his land were seldom seen or heard. There was nothing of nature left—only units of production and all the equipment and chemicals it took to keep the profits going. Howard, like so many of us, loved nature, being outdoors, and appreciated the beauty of the countryside. Yet, from his up close and personal viewpoint, he could see that nature was being devastated by his very actions. After recovering from a life-threatening illness caused in part by his consumption of animal products and his constant contact with agricultural chemicals, he and his wife made up their minds to put an end to the business that had brought them so much financial gain. 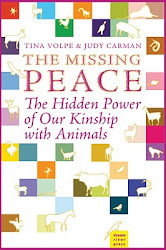 They became possibly the only vegan ex-cattle ranchers in Montana at the time. Howard went on to work as a lobbyist for the National Farmers’ Union in Washington, D.C. and worked on legislation for the National Organic Standards Act. He has spoken internationally, appeared on Oprah, and wrote the books, Mad Cowboy and No More Bull. Another rancher, this one from Michigan, is Harold Brown. 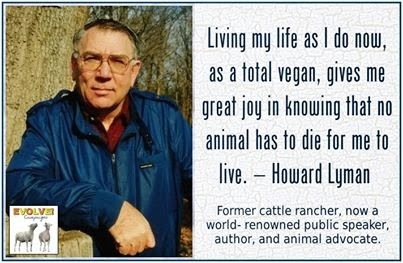 Like Howard he was raised on a farm where rabbits, pigs, dairy cows, and beef cows were grown to be used and slaughtered, and wild animals were hunted. Naturally, he ate a lot of animal flesh, dairy products, and was taught by his family not to get emotionally attached to the animals they were going to kill and eat. Like so many young people today, whether farmers or not, his veins were loaded with cholesterol, and at the age of 18 he had a heart attack. His dad had several heart attacks and a stroke several years later. In reaction to his doctor’s warnings, Harold had to change the way he ate. When he discovered that he could reverse heart disease by eating a vegan diet, he made that commitment to his own health. However, by opening up to the philosophy of veganism—which is to do no harm—he began to see animals, not as commodities as he was raised to believe, but as individuals. Harold now writes and speaks in order to encourage people to question what they have been taught about animals and to help save the world from the ravages of animal agriculture. John Robbins, in his book The Food Revolution: How Your Diet Can Help Save Your Life and Our World, describes a profoundly soulful encounter with a pig farmer. Robbins asked to tour the farmer’s pig farm for an article he was writing. Inside the pig barn, he viewed unimaginable suffering, stench, and pollution. The farmer’s wife invited Robbins to dinner, and to his own surprise, he impulsively accepted the invitation, despite his horror at the conditions for the pigs and the damage being done to the environment by the farm. Expecting only small talk and a quick exit, Robbins was shocked when the farmer suddenly raised his voice causing his wife and children to disappear into other rooms, leaving Robbins and the farmer alone together. Inexplicably, almost as a confession, the farmer began to tell a story about a pet pig he had as a boy. His father raised pigs for slaughter, but this one turned out to be a friend. The boy often slept in the barn in the summer with the pig by his side, and they swam together in the nearby pond. But one horrible day, his father told him that it was time to kill the pig. If he refused, then he would no longer be his son. So he killed his friend, and kept up the family tradition of raising pigs, no matter the cost to his heart, the land, or the pigs. When we look at animal agriculture, animal rights and environmental activism go hand in hand. While each movement may look at it from a slightly different viewpoint, we all see the same devastation leaking and blowing and carving its way into every ecosystem and into everything that sustains life on our planet. In the Winter issue of “Planet Kansas,” Michael Brune delivered some great news about solar and wind outcompeting coal and gas. Iowa, he stated, is getting 25% of its electricity from wind now. That’s Iowa, the state that is under siege from pig farms. Which way will we go? He calls the fossil fuel companies zombies because they are “already dead.” But the pig farmers are very much alive and causing every bit as much destruction as the fossil fuel companies do. Brune calls for an end to pessimism, and I couldn’t agree more. The stories told above make it clear that even those making big profits can change. There is so much we can do, and so many people waking up to the need to take personal responsibility and to take immediate grassroots action. As I’ve said before, one of the simplest, quickest, and most far reaching actions we can all take is to boycott animal agriculture and join the millions who have taken the vegan pledge of no harm to ourselves, the earth, and all the beings who share the earth with us. Please share with your friends who love the earth and air and water. 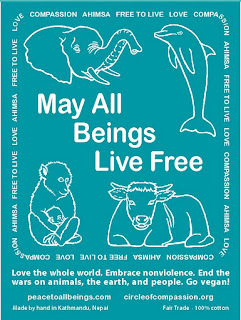 We all need to work together to bring peace to earth for all beings and all of nature.